So, the first thing you must decide is what you want your students to practice. Here are a few pronunciation activities for simple past tense in ESL. This is very important because there are three different ways the -ed suffix is pronounced, depending on the letters that precede it, and it's tricky for ESL students. After you've taught them the rules, give your students a list of simple past tense verbs, and have them work in groups to put them into the right pronunciation category (/d/, /t/, /id/). Divide the board into three sections, one for each pronunciation category. Make two sets of cards in two different colors, each set with the same past tense verbs. Students from two teams then have a relay race. They take turns drawing a card from their team's stack and sticking it on the board in the right category. The first team to stick all their cards to the board earns two bonus points, and teams earn one point for each correct placement. Read aloud. It's so simple, and yet students (at least the serious ones) always appreciate the chance to read English aloud and be corrected by the teacher. Have students listen as you (the teacher) read aloud making intentional mistakes. First, they just listen. Then, they listen and count the mistakes they hear. If they seem to be missing a lot, repeat that step. Then, write all the simple past tense verbs from the reading on the board, and have the students tell you the correct pronunciation. Read again and having the students stop you whenever you mispronounce a verb. Then, hand out copies of the reading to the students and have them read aloud. You can correct them, or they can correct each other. Some regular simple past tense verbs are formed by simply adding -ed to the end of the base verb. Others require the addition of an extra consonant first or the changing of a [y] to an [i]. There are rules governing these changes, and your students need to practice following them. Irregular verbs are a different story. Sadly, it seems the best way for students to learn irregular past tense verbs is simply to use them over and over again. There is very little rhyme or reason to them, so it's very difficult to arrange or teach them systematically. However, you can use many of the same practice activities for both regular and irregular verbs. "Steal the Bacon" quiz game - You say a regular verb (or hold up a card with is written) in its base form. Teams confer on how to spell it. Then, one member from each team runs to the center of the room to grab the "bacon." This can be any small item you want. Whoever gets it has a chance to spell the word for their team. If it's right, the team gets a point. If it's wrong, they lose a point. Search - Word search with both correctly and incorrectly spelled past tense verbs. Students circle the right ones and cross out the wrong ones. Editing - It's another super-simple, seemingly boring activity, but students really seem to enjoy the practice. If they're having trouble, you can give them hints like how many mistakes there are or in which lines the errors are located. They can also work in pairs or groups if you like. Fill-in-the-blank - You can provide the base verb for each blank (easy), let students choose from a word bank (harder) or let them decide on an appropriate verb (hardest, and you lose some control over their use of regular vs. irregular verbs). Teaching ESL to Adults - An ESL tutor has compiled this content to save teachers time preparing ESL lesson plans. Worksheets, cloze exercises and other teaching aids are added frequently. RSS feeder alert is available. UsingEnglish - This website is full of tests, lesson plans, worksheets, reference materials, articles and other resources on verbs and other ESL subjects. easyEnglish - Lesson plans cover all aspects of grammar for the ESL student and give tips and actions for beginning students. Tests are offered at three levels of difficulty. Tests are taken online and students receive test corrections and answer explanations. Guide to Grammar & Writing - This website is a great resource for ver information and is loaded with example sentences and verb worksheets. "Activities for Simple Past Tense in ESL." YourDictionary, n.d. Web. 21 April 2019. <https://esl.yourdictionary.com/lesson-plans/activities-for-simple-past-tense-in-esl.html>. When planning activities for simple past tense in ESL, you have to be very specific in your objective. 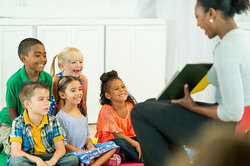 For example:Some activities are good for practicing the formation (spelling) of regular past tense verbsOthers are more for pronunciation practiceSome provide students with opportunities to differentiate between regular and irregular verbs or between simple past and past continuous (past progressive)Some combine all these tasks into a single activitySo, the first thing you must decide is what you want your students to practice.